Woman In VR Headset Looking Up And Trying To Touch Objects In.. Stock Photo, Picture And Royalty Free Image. Image 55674443. 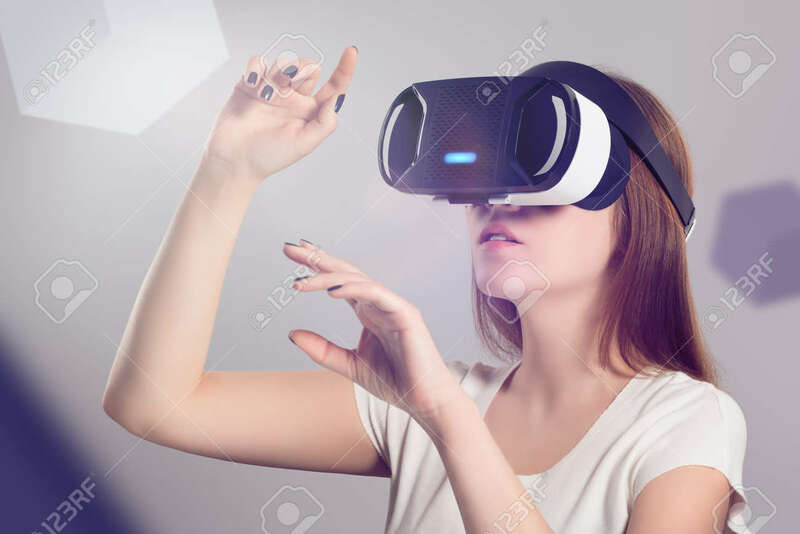 Stock Photo - Woman in VR headset looking up and trying to touch objects in virtual reality. VR is a computer technology that simulates a physical presence and allows the user to interact with environment.